A Level 3 regional referral center that delivers about 3,300 babies each year, the Duke Birthing Center provides skilled, compassionate care to our mothers, newborns, and families throughout pregnancy, delivery, and the postpartum period. The 24-hour multidisciplinary team includes an attending physician, dedicated OB specialists from Women's Anesthesia, Level 3 neonatal specialists, and lactation consultants. A component of the acclaimed Duke University Hospital, Duke Birthing Center is equipped to serve the healthiest low-risk moms to those who require the most specialized care -- from women with normal spontaneous vaginal deliveries (with and without complications) to those with various health conditions. The experienced neonatologists and nurses in our Level 3 Neonatal Intensive Care Unit care for high-risk and critically ill infants, including those born earlier than 32 weeks gestation and those requiring surgery or subspecialty medical care. 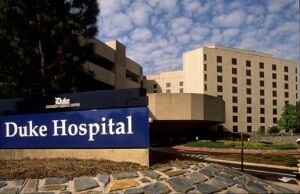 In addition to three operative delivery rooms, two recovery beds, and six obstetrics triage beds, the Duke Birthing Center houses the Labor, Delivery, Recovery, Postpartum (LDRP) Unit, which comprises 20 well-appointed, comfortable rooms with whirlpool tubs, TV/DVDs, daybeds, and telephones. The unit uses a strict infant security system. Learn more. 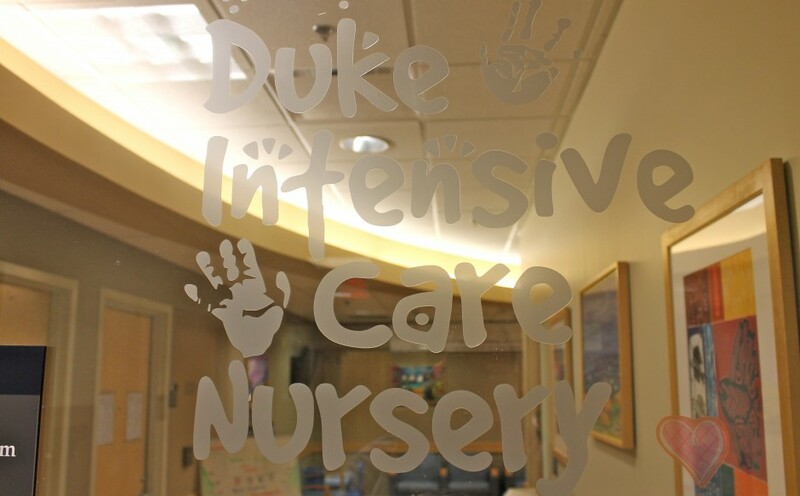 The Duke Health Intensive Care Nursery ICN/TCN/SCN is a 57-bed Level II/Level III/Level IV neonatal intensive care unit operating 24 hours per day, 7 days per week. The purpose is to provide care to critically ill, high risk and convalescing neonates who require monitoring services and are at risk of needing immediate intensive treatment. Major medical diagnoses treated include, but are not limited to: prematurity, respiratory distress syndrome, persistent pulmonary hypertension, transient tachypnea of the newborn, pneumonia, pneumothorax, sepsis, surgical abnormalities, metabolic derangements, neurological evaluations, and chromosomal or genetic abnormalities. Procedures/treatments performed include intubation, central line placement, chest tube insertion, PDA ligations, invasive/non-invasive monitoring, blood/medication/oxygen administration, pain management, wound care, hypothermia protocol, and patient/family emotional support and teaching. Care is provided by using a multidisciplinary process applied to an individualized patient plan of care based on assessment of needs. Learn more. 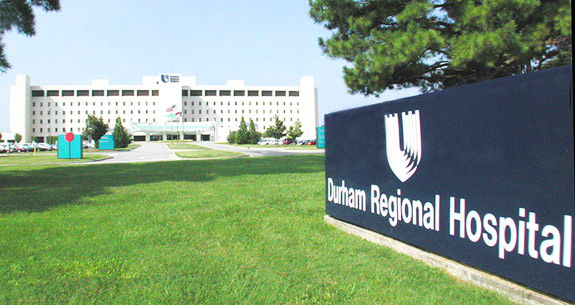 The Birth Place of Durham Regional Hospital delivers more than 2,000 babies each year. The Birth Place offers eight labor and delivery suites, four with whirlpool tubs, two dedicated operating rooms for C-sections within the labor and delivery unit, and 36 private postpartum rooms. A hospital-based anesthesia team available 24 hours a day. The comfortable delivery suites allows delivery in a cozy, home-like atmosphere. Medical equipment remains neatly tucked away behind wood paneling and furniture until it is needed. Lightweight cordless fetal and maternal monitors provide mothers and the care team with greater freedom of movement during labor and more flexibility in choice of birthing positions. Additional non-medical amenities for low-intervention delivery include birthing balls, ambulatory fetal monitoring system, a pushing bar, and other individualized options to promote your comfort during labor. Babies room in with mom on our mother/baby unit. Should a baby arrive a little ahead of schedule or need a little more medical attention following birth, The Birth Place has an 18-bed level II special care nursery. This nursery provides care for at-risk, acutely ill, and convalescing infants as early as 32 weeks of gestation. Babies receive individualized care to promote growth from our experienced team of Duke neonatologists and Durham Regional Hospital nursing staff. Infants born earlier than 32 weeks of gestation requiring surgery or sub-specialty medical care are stabilized and transported to a level III neonatal intensive care unit, usually at Duke Children's Hospital. The special care nursery not only cares for premature infants, but also full-term babies who need extra help. Learn more. The Women's Pavilion at Johnston Health has five labor and delivery suites, 16 postpartum rooms and 17 nursery beds. In a newly decorated reception area, family members and friends can wait in comfort and see the newborns through a nursery window. The staff is trained to support breastfeeding. In addition, a lactation consultant is available for private consults during the hospital stay. Learn more. The Rex NICU is specially equipped to care for newborns who need close monitoring or are critically ill. A new NICU Resource Room is available to parents of NICU babies. This NICU is staffed by nurses and neonatologists experienced in caring for premature and critically ill babies. Neonatology services are available on-site 24 hours a day, so new parents can be confident that their children are receiving around-the-clock care. Learn more. Rex Healthcare Women's Center's 40 private rooms have been refurbished and have amenities such as a convertible sleep chair for your partner, a rocking chair, a private bath with shower, television and VCR and private telephone. Rex offers a comforting birth environment that is home-like, private and safe. Rex Women's Center has neonatology services available on-site 24 hours a day. Plus, anesthesiologists are available on-site 24 hours a day for epidurals, so there's no waiting for pain relief. Rex staff is trained to anticipate your needs and provide care based on your individual circumstances. And while at Rex, each first-time breastfeeding mom will receive a visit from a lactation consultant with Rex Lactation Services prior to going home. Learn more. 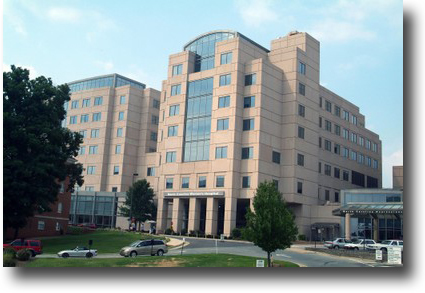 The UNC Division of Neonatal-Perinatal Medicine provides care for critically ill newborns and premature infants in North Carolina Children's Hospital's Newborn Critical Care Center (NCCC).The Newborn Critical Care Center has a capacity of 48 beds of which up to 38 are designed for ventilated or critically ill infants. Approximately 75 infants are admitted to the NCCC per month. About 70% of these are born in UNC Hospitals. Most of the remainder are referred from a wide area of central North Carolina with a few infants referred from adjacent areas of Virginia and South Carolina. The NCCC is served by 11 board-certified attending neonatologists, 12 nurse practitioners, and more than 150 neonatal specialists from UNC Hospitals. The Center averages 750 admissions annually, providing care to newborns from over 50 counties in North Carolina. Learn more. UNC L&D at UNC Women's Hospital is a Level III referral center, which provides care to both normal and high risk laboring and antepartum patients. Approximately 3,600 babies are born each year at the NC Women's Hospital. Several thousand patients are also seen in it's triage area. In addition, L&D providers and staff perform numerous high-risk procedures such as vaginal and cerclage placements, amniocentesis and versions as well as various fetal procedures, including IUTs, fetal shunt placements and exit procedures. 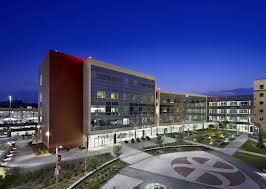 The area consists of 15 labor and delivery rooms, 5 triage rooms, a 2-bed recovery room, and 3 operating rooms. Anesthesia coverage is provided 24/7. Staff is certified in neonatal resuscitation, ACLS, and has extensive training in fetal monitoring and high risk obstetrical care. The staff is highly committed to caring for women, babies, and families. Learn more. 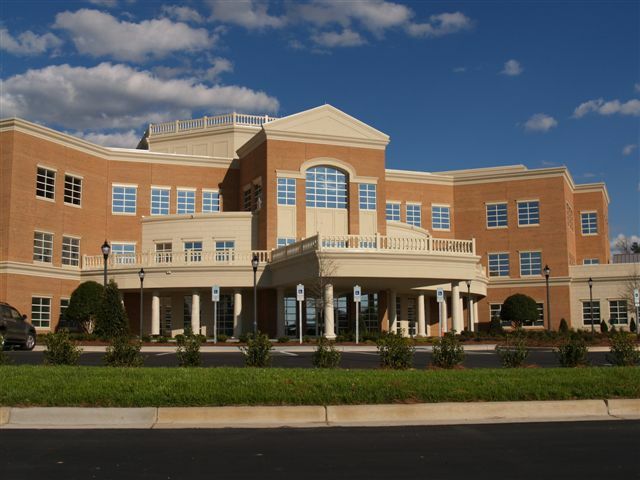 The Maternity Care Center at the UNC Women's Hospital is a 28 bed Level III referral center providing care for postpartum patients utilizing the couplet care model. The Maternity Care Center has a Newborn Nursery unit to provide care for term newborn infants and stabilized premature infants. The Newborn Nursery supports Family Centered Care by admitting all infants to the mother's private room unless medically contraindicated. The Maternity Care Center staff has a strong knowledge base in: postpartum care for vaginal and cesarean section patients, breastfeeding, late preterm infant care, and normal newborn care. The staff is committed to Family Centered Care and teaching using a baby-friendly approach including the "Ten Steps to Successful Breastfeeding". Many of the nursing staff is IBCLC certified and certified in neonatal resuscitation. The NC Women's Hospital has received the prestigious international recognition as a Baby-Friendly® birth facility for the implementation of the Baby-Friendly Hospital Initiative (BFHI), a global program sponsored by the World Health Organization (WHO) and the United Nations Children’s Fund (UNICEF). The hospital has also received the North Carolina Maternity Center 5 Star Breastfeeding-Friendly designation. Learn more. WakeMed Cary Hospital has a Special Care Nursery, which provides Level III care for babies needing short-term intensive care. This facility shares a full time staff of highly skilled neonatologists and 24-hour neonatal nurse practitioners with our Raleigh Campus. When necessary, babies are transferred from Cary Hospital to the Raleigh Campus via our specially equipped Children's Transport Vehicle, staffed by an experienced team of transport professionals. The NICU at WakeMed has a Developmental Team that helps families partner with staff in caring for their babies and in understanding the behavior and development of premature babies. This special team supports infants and their families who spend time in the NICU. Developmentally supportive care is an important part of the NICU's philosophy of care. The Developmental Team works with families and other caregivers from a NIDCAP approach which supports developmental progress with careful attention to behavior, the language by which babies communicate. Families are the most important support for their babies and the developmental care approach emphasizes this relationship through encouraging kangaroo care, observing baby behaviors, and supporting parenting in the NICU. Learn more. 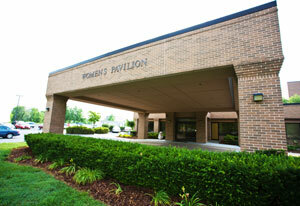 WakeMed Cary's Women's Pavilion & Birthplace welcomes more than 2,500 babies into the world each year. 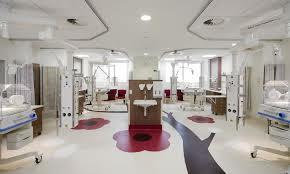 They provide flexible, family centered care and also have the latest technology available to support mother and baby. The private suites for labor, delivery and recovery are beautifully decorated and feature a shower and tub with whirlpool jets for hydrotherapy during labor. There is also a sleep couch, rocking chair and a bistro table and chairs in the mother's room for dad or support persons. Mothers and babies are moved to a private room after delivery, where they both receive specialized care from our mother/baby nurses. Learn more. WakeMed Raleigh's Level IV NICU team of physicians, nurses, and other pediatric specialists treat more than 625 premature infants and critically ill babies. 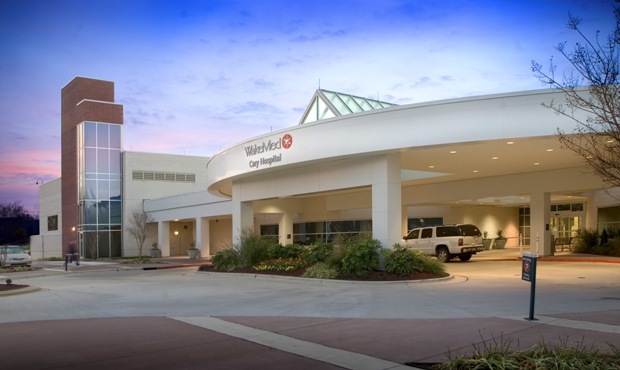 Neonatology at WakeMed is home of the Carolina Newborn Individualized Developmental Care and Assessment Program (NIDCAP) Training Center, one of only 10 training centers in the US (16 worldwide). The NIDCAP approach to care focuses on providing care that is most supportive for families and for the developmental needs of infants. Learn more. WakeMed Raleigh’s Birthplace has private birthing rooms that resembles home, complete with a marble bath with tub and shower to help ease the pain of labor. Staff and equipment are brought to the mother so that her birth experience can be a private time. If the mother's doctor advises a cesarean birth, surgical suites are right down the hall. If dad chooses to spend the night, he can take advantage of the comfortable pullout bed in the mother's private room. The newborn nursery is located right outside mom's door. If problems arise during a mother's pregnancy or her baby's birth, the medical staff at the Women's Pavilion & Birthplace - Raleigh, which includes a perinatologist who specializes in high-risk pregnancies, supports the doctor or midwife caring for a mother if she is hospitalized during her pregnancy. Learn more.